Buy 48 or more for $20.89 each. Deron Biles is director of the Professional Doctoral Program in the School of Preaching and professor of pastoral ministry and preaching in the School of Theology and the School of Preaching at Southwestern Baptist Theological Seminary in Fort Worth, Texas. "After pastoring a church for fifteen years, Pastoral Ministry was refreshing and encouraging to read. It reminded me of exactly what the Lord has called his shepherds to do. I highly recommend this book for any pastor, whether youre just starting out, or have been faithfully shepherding for decades." "Nothing is more important to the church today than to have a clear view of the role of the pastor, who is the undershepherd of the congregation. And nothing is more important to the pastor/shepherd than to know what Gods Word declares about his assignment. The pattern for the shepherd is the Great Shepherd, our Lord Jesus Christ. The role is vital and demanding. 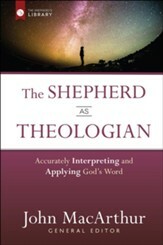 The writer of Hebrews concludes in 13:17 that the shepherd must give account to God. James reminds us that the he will face a stricter judgment. The shepherd does not choose to be a shepherd, he is appointed by God to be a shepherd. He is not a hired hand, but a divinely selected leader who loves the sheep and gives his life to them. 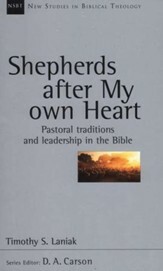 These pages clearly reveal that the shepherd has a high calling, an enormous responsibility, a demanding holiness of life and a compassionate ministry given to him on behalf of the church. He is always guided by the example of our Lord Jesus Christ and faithfulness to the sufficiency and complete trustworthiness of Gods Word." "After more than twenty-five years of pastoring, I am convinced that ministry is not for the faint of heart. The Bible calls the pastor a shepherd for a reasonhis life is devoted to caring for sheepand sheep can be messy. Pastors can be messy too. Pastoring well means knowing how to lead well and leading well requires a biblical understanding of what God expects from His shepherds. Pastoral Ministry was written for such a purpose. Each chapter will open your eyes to both who God expects pastors to be and what God expects pastors to do. Its more than a how to book; its a who am I book. Read this and you will gain valuable insights about how to pastor your people, but even greater, you will also be challenged to look within your own heart to consider how God is pastoring you." 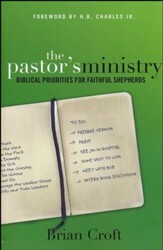 "The high calling of a pastor is to shepherd the people of God with the Word of God for the glory of God. Indeed, pastors are accountable before God for their stewardship of this high calling. 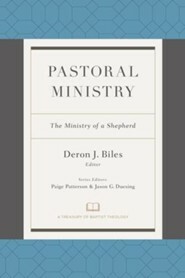 For this reason, I pray that the Lord will bless this book to help encourage and equip pastors to be the shepherds God has called them to be." 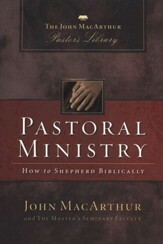 I'm the author/artist and I want to review Pastoral Ministry: The Ministry of a Shepherd.